My twilight moment on May 1st, once again, dealt with emergency communications, when all normal sources of power (especially electricity) fail due to a local emergency or disaster. Most government EOCs (Emergency Operation Centers) and non-profit groups who maintain emergency networks (Red Cross, Salvation Army, and Amateur Radio Emergency Services (ARES) consist of licensed Hams who have voluntarily registered their qualifications and equipment for communication duty in the public service when a disaster strikes. Most licensed amateur radio operators do not belong to these organizations, but may play a significant role at the neighborhood level as a volunteer citizen. All Amateur Radio Operators are licensed by the FCC to communicate on Ham radio bands using radio, television, and Internet linked technology. One of these spontaneous groups is known as Neighborhood HamWatch. 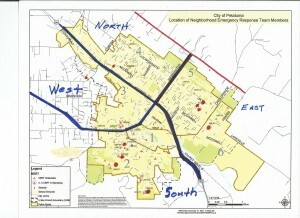 Volunteer Amateur Radio Operators can relay information about the needs and condition of their neighborhoods to official local governmental EOCs. The negative psychological impact of isolation is reduced when these operators maintain contact with one another. NHW groups are not clubs or non-profit organizations. No certification or special training is required to participate in order to transmit messages from their neighborhoods. 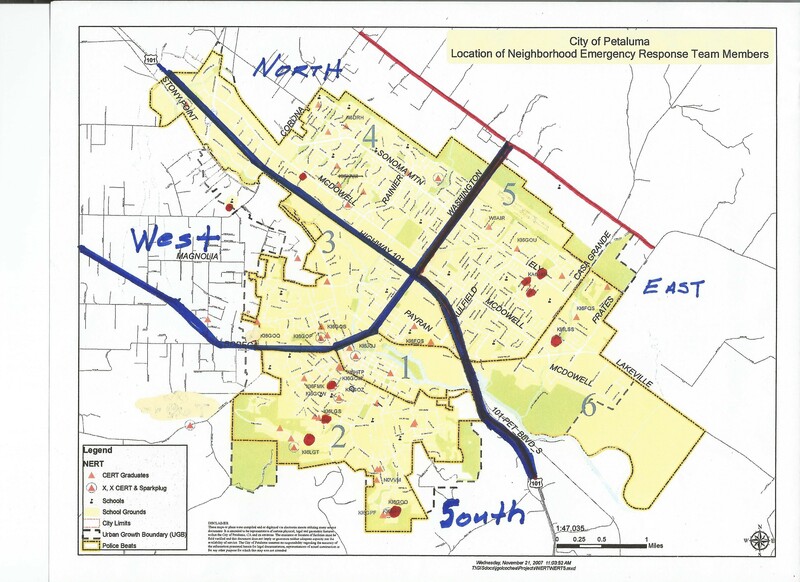 Petaluma, for example, had such a neighborhood centered emergency communications network when it had an active CERT program from 2006 to 2012. At one time, 30 of these CERT grads made up a Community Emergency Radio Network (CERN), and conducted periodic citywide field exercises that included contact with the City’s EOC and the Salvation Army radio room. A small group of NHW volunteers who hope to revive and preserve this earlier model is currently continuing to hold weekly exercises and monthly meetings. 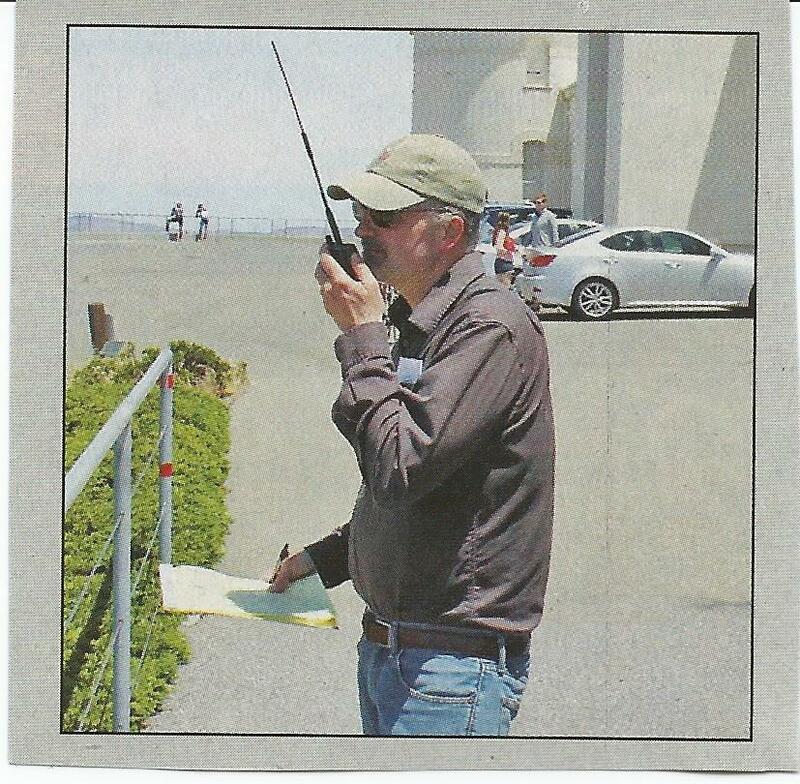 As they recruit additional Hams in the 94952 & 94954 zip code areas, they hope to use the Police Department’s map of the city (four Beats & fifteen Districts) to see how well the city’s neighborhoods are served by volunteer amateur radio operators. Note: Top photograph is from QST Magazine, April 2015.